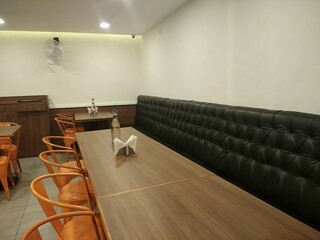 A quick service restaurant with economical and delicious food. 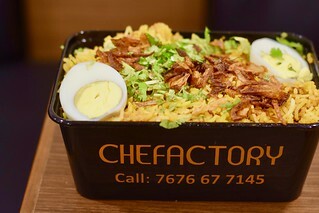 Chefactory is a quick service restaurant of Indian cuisine. 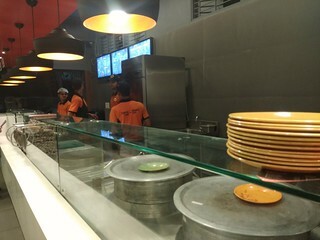 They provide home delivery service as well. The outlet is pretty small and very bright. 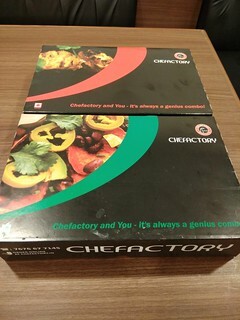 They have an excellent packaging for home delivery service with colour coded boxes for vegetarian and non-vegetarian. Amongst starters, I loved the spicy grilled laska chicken. It was very flavourful and succulently marinated. 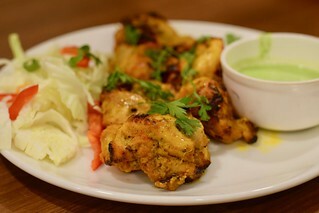 The same thing for chicken malai tikka as well. 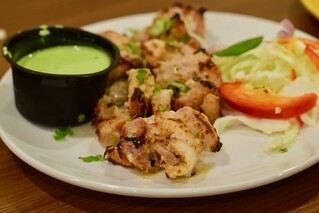 Cheese and mushroom stuffed paneer tikka was very delicious as well, but the chicken was too amazing for me to be paying attention to veg. 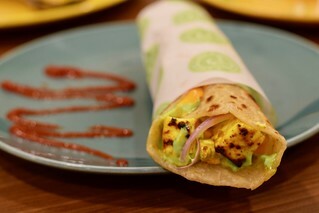 I loved the paneer tikka roll, which was very generously loaded with mayonnaise and sauce. 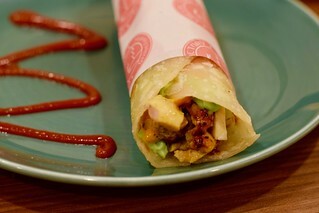 I took a bite of the chicken tikka roll as well and found it very delectable. 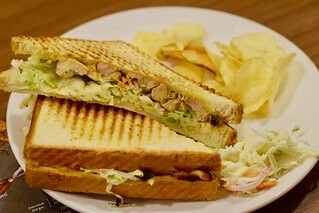 Chicken coleslaw sandwich was quite huge as well. Felt it a bit mild in taste. I didn’t try the meal boxes but it sounds like a killer deal. 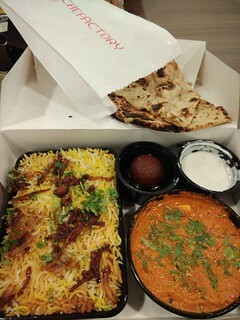 Did try the biryanis. 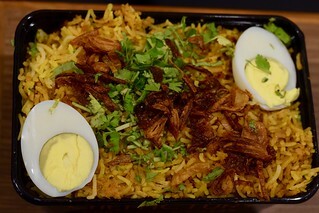 Both veg and biryani were delicious and prepared in a dum style. 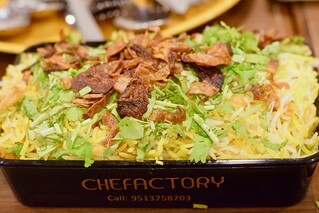 The quantity an quality of the biryani was really good. 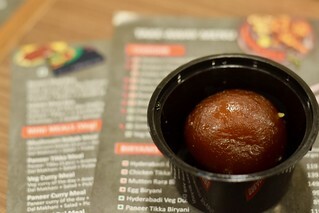 We had gulab jamun for dessert. 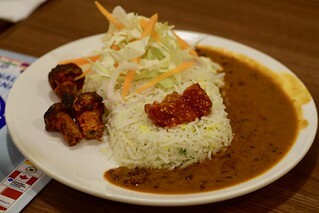 Spicy grilled laska chicken, paneer tikka roll, chicken biryani.